Dhaka, Mar 17 : Dr Rajan Karmakar, son-in-law of Food Minister Sadhan Chandra Majumder, has died reportedly under mysterious circumstances. 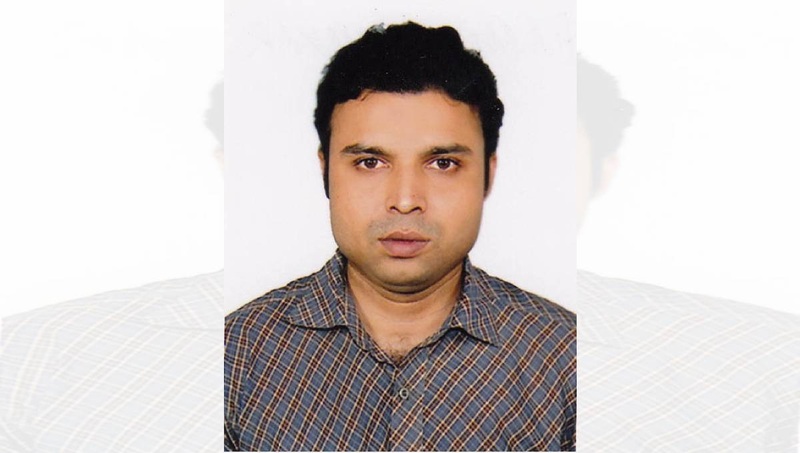 Dr Rajan, 39, an assistant professor of Oral and Maxillofacial Surgery department under Dentistry Faculty of Bangabandhu Sheikh Mujib Medical University (BSMMU) and husband of minister’s daughter Krishna Rani Majumder, was taken to Square Hospitals Ltd in an unconscious state around 3:45am on Sunday where doctors declared him brought dead. Duty doctor at the hospital Asaduzzaman said Dr Rajan had died before he was brought to their hospital. Claiming that the physician’s death was shrouded in mystery, victim’s maternal uncle Sujon Karmakar demanded a proper investigation and also an autopsy to ascertain what caused his death. He said Krishna made a phone call to her mother-in-law (Rajan’s mother) in the early hours and informed her that her son died. Sujon also said he went to the hospital around 4:20am after receiving the death news from his sister. Dr Shahnewaj Bari of BSMMU Neurology department said they also want proper investigation into the death of their fellow as several unwanted incidents involving Dr Rajan took place in the past. “We heard that Rajan was admitted to the ICU of a hospital after being assaulted one and half years ago,” he added. Officer-in-charge of Sher-e-Bangla Nagar Police Station said a police team visited the hospital. The body was sent to Shaheed Suhrawardy Medical College Hospital for autopsy, Inspector (Investigation) Abul Kalam Azad of the police station said, adding that a written complaint was submitted by the victim’s family.